These words were reported to King Francis I of France in 1524 by the first known European explorer to arrive in the Cape Fear region. Today, these words still apply to an area which continues to charm both its local population and the thousands of people who visit each year. 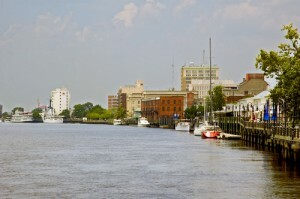 Rich in history and southern culture, Wilmington began as a small backwater in the early 1700’s. The extensive waterways allowed for the early settlers to easily navigate the area and establish trade. 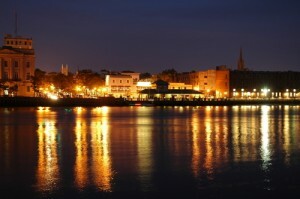 Wilmington was incorporated as a town in 1739 and continued to prosper as more settlers arrived. 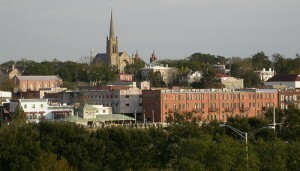 At the turn of the century, Wilmington was the largest town in the state of North Carolina. It’s proximity between the Atlantic Ocean and the Cape Fear River made it an ideal location for a shipping port, close to the sea, yet far enough upriver to offer shelter from the sometimes violent winter storms and hurricanes. By 1840 the Wilmington port was one of the most important on the East Coast. Growth in the shipping industry soon led to a surge in transportation and the railroad industry flourished. During the Civil War, Wilmington was known as “the life line of the Confederacy.” After the war, Wilmington was officially incorporated as a city. Today, Wilmington is no longer the largest city in North Carolina yet thousands of people continue to relocate and visit each year. And why not? There is an excellent state university and community college, miles of beautiful beaches, excellent fishing both inshore and offshore, a vibrant tourist industry and a solid economy. Top employers in the area include GE, Corning, PPD, Verizon Wireless, Time Warner Cable, New Hanover Regional Medical Center and UNC Wilmington. Coming to town for some sightseeing? You will not be disappointed. Major points of interest include, the USS North Carolina Memorial, Screen Gems Movie Studios, Fort Fisher Historic Area, Thalian Hall Center for the Performing Arts, Louise Wells Cameron Art Museum, Airlie Gardens, Cape Fear Museum, Children’s Museum, Cape Fear Sepentarium, North Carolina Aquarium at Fort Fisher, Cotton Exchange, Bellamy Mansion, New Hanover County Extension Service Arboretum, Wilmington Railroad Museum, and Fourth Friday Gallery Nights. Feeling more adventurous? Several wonderful destinations are close by. For the history buff, Moore’s Creek National Battlefield in Currie is just a short drive up Hwy 421 North or experience the antebellum period across the river at Orton Plantation. Once you are through visiting the aquarium, jump on the ferry and take in the scenery in Southport, located at the mouth of the Cape Fear River. Once in Southport, you will want to wear comfortable shoes to stroll through the many boutiques, antique shops and restaurants that line the streets. After all that walking, grab an ice cream cone and relax in the waterfront park on the Cape Fear River bank. Wilmington’s climate is considered to be subtropical. Winters are usually mild with temperatures in the 50’s and 60’s . It is not unusual for many folks to spend Christmas Day strolling on the beach in a t-shirt and pair of shorts. The snow of early 2009 was such a rarity that school children were allowed to go outside to marvel at the flakes floating down. For many of these children, it was the first time they had ever seen snow! Springtime temperatures are in the 70’s. Garden parties are quite popular in early April as the azaleas come into bloom. Perhaps the biggest party of the season is the Garden Party at Airlie Gardens. Always popular and entertaining, the Garden Party planning begins months in advance. As the school year winds down in early June, the summer heats up. Temperatures range between the 80’s and 90’s, perfect temperatures for the beach. However, bring plenty of ice and sun block. Nothing ruins a vacation like a nasty sunburn. With the heat and humidity, August can be downright painful for those newly relocated from the North. Most folks walk a little slower and tend to stay inside during the heat of the day. With the coming of fall, the humidity and heat break bringing pleasant days and evenings in the 70’s and 80’s. The water temperature is still in the 80’s and most of the tourists have left for the season making it the perfect time for a quiet vacation. One event that keeps growing in popularity is the Holiday Flotilla located in Wrightsville Beach. Each year after Thanksgiving, power boats and sailboats are decorated in thousands of colored lights. The boats are judged on creativity, theme, and best in a category. The flotilla is a real crowd pleaser. Immediately after the judging, enjoy one of the most spectacular fireworks displays in the city. Mild weather is just one reason so many people are relocating to our area. In 1990, the population of Wilmington was roughly 55,000 people. According to the census bureau, in 2008, the population was just over 100,000. That is a 62% growth in 10 years and we just keep growing. In the Metropolitan Statistical Area (MSA), which includes New Hanover, Brunswick, and Pender Counties, the MSA population in 2008 was 340,000. The Brunswick County population in 2008 was 99,440 and the Pender County population was 50,430. Just as the area population continues to grow so does our economy. Our growing population needs homes to live in, markets to shop in, access to health care and so on. Perhaps most challenged by the growth has been the county school system. Murrayville Elementary opened in the northern part of New Hanover County and a new high school will soon open on Holly Shelter Road in Castle Hayne. Winter Park elementary is currently being remodeled and Ogden Elementary recently welcomed its students back to a new facility as well. Growth can be seen everywhere. Mayfaire Town Center is now the premiere shopping destination in the area featuring several national retailers and restaurants. Just two miles from Wrightsville Beach, this extensive business and retail center, located on Military Cutoff Road, offers class A amenities to a multitude of banks, retailers, upscale restaurants, medical facilities and more. On the Southern side of the city lies Monkey Junction, an area located at the crossroads of Carolina Beach Road and South College Road. Several thousand people live, work and shop in the Monkey Junction area. Several major retailers are located there including Home Depot, Lowes and Wal-Mart. A major retail center similar to Mayfaire Town Center is planned in the near future. The 17th Street corridor is considered to be the heart of the medical community. New Hanover Regional Medical Center, one of the biggest employers in Wilmington, is located there and provides excellent services to the community. Several hundred thriving medical practices are located nearby. For more information on Wilmington and the surrounding area, please visit the links page. Here you will find great information about the area, people, places, and more. Thanks for stopping by today and please visit us soon.